AMD is not joking whatsoever – they aren’t abandoning the top-tier graphics cards, as they announced the Radeon VII, which will be the first consumer-aimed GPU with 7-nanometer technology. 60 computing units, 3840 streaming processors, with a maximum of 1.8 GHz clock speed, and there’s 16 GB HBM2 (high bandwidth) memory with a maximum of 1 TB/s memory bandwidth. After the Vega GPUs, AMD continues to use HBM2 over GDDR6. It will have three fans, and a TDU of 295W. 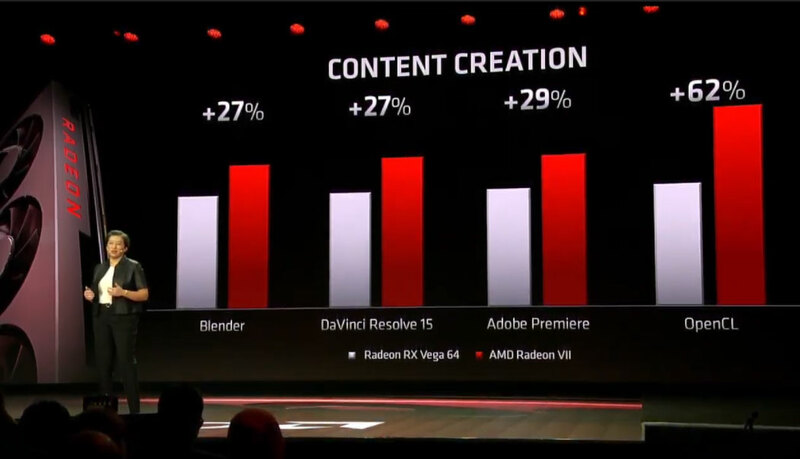 AMD compared the Radeon VII with the Radeon RX Vega 64, and with content creation (Blender, Adobe Premiere, etc. ), the new GPU is 27% faster than the predecessor, and with games, it’s also a minimum of 25% speed increase. 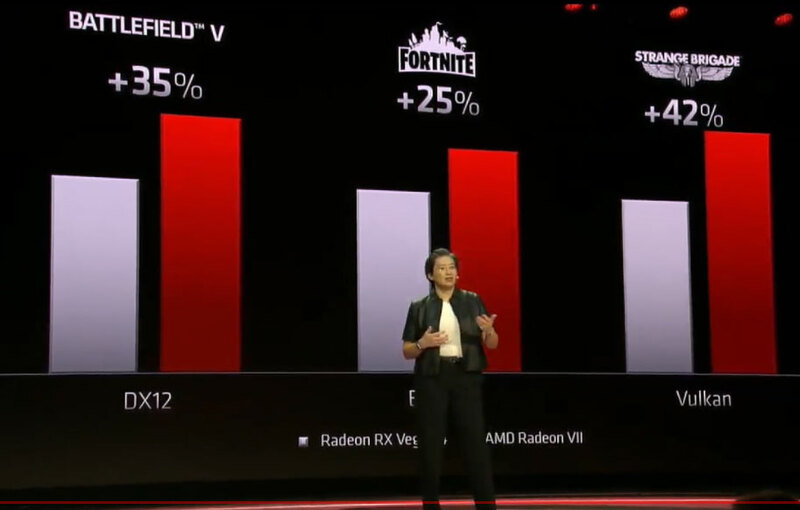 They also put its performance to the test against Nvidia’s RTX 2080 – the three games (Battlefield V, Fortnite, Strange Brigade) all had at least 1 or a maximum 14 FPS advantage towards the Radeon VII in 4K, maximum settings.